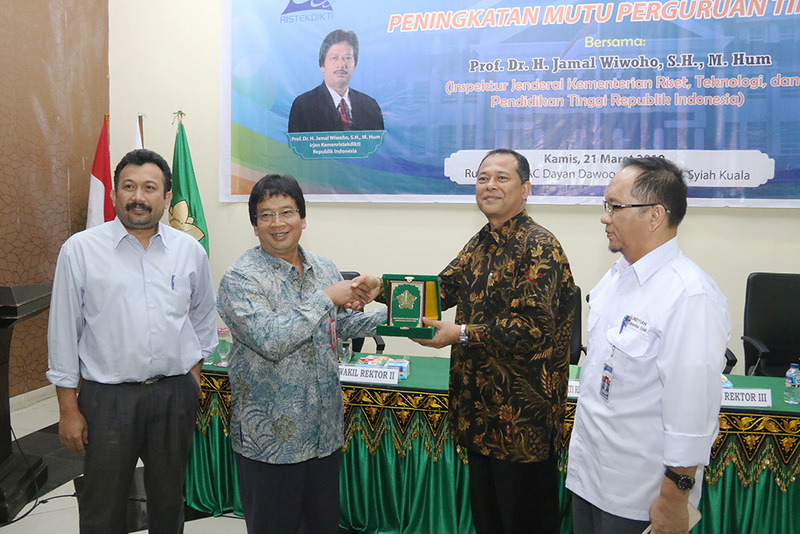 Inspector General of the Ministry of Research, Technology, Higher Education (Kemenristekdikti), Prof. Dr. H. Jamal Wiwoho, S.H., M. Hum., Filled the guest lecture on the Role of Supervision in Higher Education Quality Improvement, in front of dozens of Unsyiah academics, in the AAC VIP room, Dayan Dawood, Thursday (3/21). In his presentation, Jamal said that supervision was very important in the education world. Because this is part of presenting good university governance that includes transparency, accountability, and responbility. "This supervision is to prevent the disrupted of higher education governance, so that it can produce good policies," he said. For this reason, universities need to implement the Internal Control System (SPI). This system is expected to create effective and efficient activities, present reliable financial reports, safeguard state assets, and realize compliance with laws and regulations. "These four control systems can be carried out and applied in daily activities," he said. In addition, Jamal added, with the implementation of internal supervision, it can help institutions to know more about the problems that will occur. In fact, it also helps find problems and solutions. 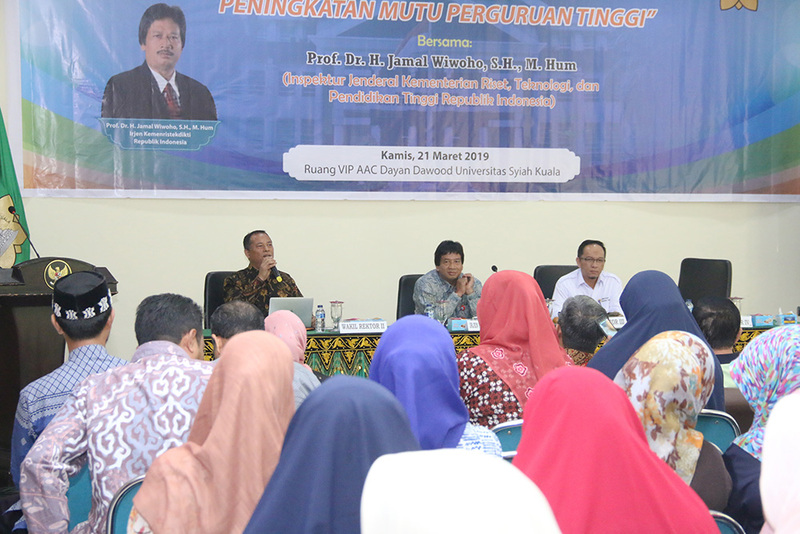 Unsyiah Deputy Chancellor for General and Financial Affairs, Dr. Ir, Agussabti, M.Sc., hopes that this activity can provide new knowledge that makes Unsyiah academic community focus on supervision in the future. Moreover, so far, supervision has often been ignored. Even though supervision is an important point in assessing the optimal performance of a job.